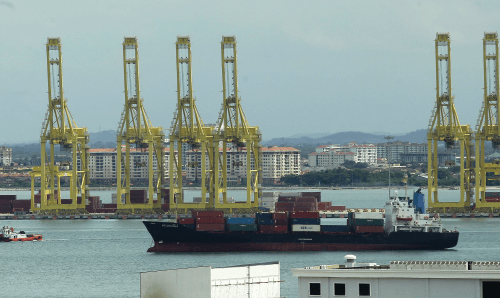 GEORGE TOWN: A RM350 million plan to deepen the northern part of the Penang Channel from the current 11m to 15m has been shelved indefinitely after the North Malaysia Shipping Agents Association (NMSAA) said the present water depth is sufficient for its ships. Port operator Penang Port Sdn Bhd (PPSB) former managing director Datuk Ahmad Ibnihajar warned as far back as 2011 that the port stood to lose RM100 million in revenue — if work to deepen the North Channel of the port did not begin soon. PPSB, previously owned by the Finance Ministry, was taken over by Seaport Terminal (Johore) Sdn Bhd — a company owned by tycoon Tan Sri Syed Mokhtar al-Bukhary — last year. The dredging project was scheduled to take off in 2010 but experienced delays due to the slow process of privatising the port. It was reported that the cost allocation of RM350 million had been made under the 10th Malaysia Plan (2011 to 2015). A shipping industry source told The Edge Financial Daily that following the March 12 meeting between PPSB and NMSAA this year, the latter expressed that the present 11m draft is sufficient to accommodate vessels of 4,000 TEUs (20-foot equivalent units) to 5,000 TEUs. That’s because it has been revealed that 70% of Penang Port’s trade is intra-Asia bound and this is characterised by vessels averaging 2,500 TEUs, with maximum capacity of up to 5,000 TEUs, the source said. The source added that PPSB chairman Datuk Mohd Sidik Shaik Osman — who had chaired the meeting — announced that the port operator would release the funds once larger vessels start calling at the port, even though allocation for the dredging project has been secured. “He (Sidik) said the port will begin upgrading works in the second half of this year. He also said the port will invest in activities that would bring value to its clients and focus on port efficiency and productivity,” the source added. The meeting was attended by NMSAA vice-president Ong Chiang Kheng — who is also Teruna Marina (Far East) Sdn Bhd manager — and shipping representatives to discuss the need for capital dredging, said the source. “Ong told the meeting that NMSAA will alert PPSB in advance of requirements for capital dredging in the future. However, he urged PPSB to look into a free-zone status for the North Butterworth Container Terminal,” the source added. The industry representatives comprised K Line Maritime (M) Sdn Bhd, CMA CGM SA, Wan Hai Lines Ltd, Malaysia Trade and Transport Co Sdn Bhd, Evergreen Line, Yang Ming Marine Transport Corp, Regional Container Lines pcl and United Arab Shipping Co. The source said the representatives agreed that there is no need for capital dredging, but had urged PPSB to focus on dredging maintenance to avoid siltation, improve port efficiency and spruce up berthing protocols. The capital dredging activity, which would have taken 18 months to complete, was one of the preconditions for Seaport Terminal’s privatisation of the Penang Port last year. The Penang Port handled 1.26 million TEUs of containers last year, up 2.4% from 1.23 million TEUs in 2013. It was reported that in 2013, PPSB recorded a net loss of RM9.1 million on revenue of RM345.8 million. As at the end of December 2013, the port operator had debt of almost RM910 million while its current liabilities stood at RM461.9 million. It had non-current assets of RM1.7 billion and current assets of RM96.8 million.